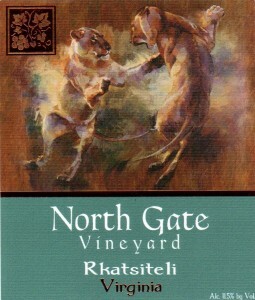 This lighter, “fruit-forward” Chardonnay was fermented and aged in a combination of older (neutral) and new oak. The barrel aging augments the stone fruit and citrus flavors of the Chardonnay grape with soft tannins and a bit more depth. With a sophisticated balance of acidity, alcohol, and fruit flavors, this wine provides a unique complexity from the initial taste on the palette through a bright, lemony finish. Pairs well with many poultry dishes, or try with a salmon burger, hot off the grill. 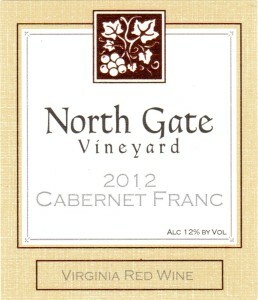 Spice and bright red cherry fruit up front, followed by a smooth black pepper finish that is characteristic of this varietal in Virginia. Hints of chocolate and coffee complement the oak from American and French barrels. Look for these flavors to continue to intensify with age. Enjoy this with a slow simmered beef stew or any tomato-based dishes, such as Italian cuisine. An ancient vinifera grape, originating from the Republic of Georgia. This grape produces a uniquely aromatic, bright crisp white wine. A blend of two vintages (hence NV), it is 60% 2013 Rkats, and 40% 2012 Rkats. A favorite to pair with Oysters on the half shell.